International Dental Research is a multidisciplinary peer-reviewed dental journal publishing articles in the field of dentistry. 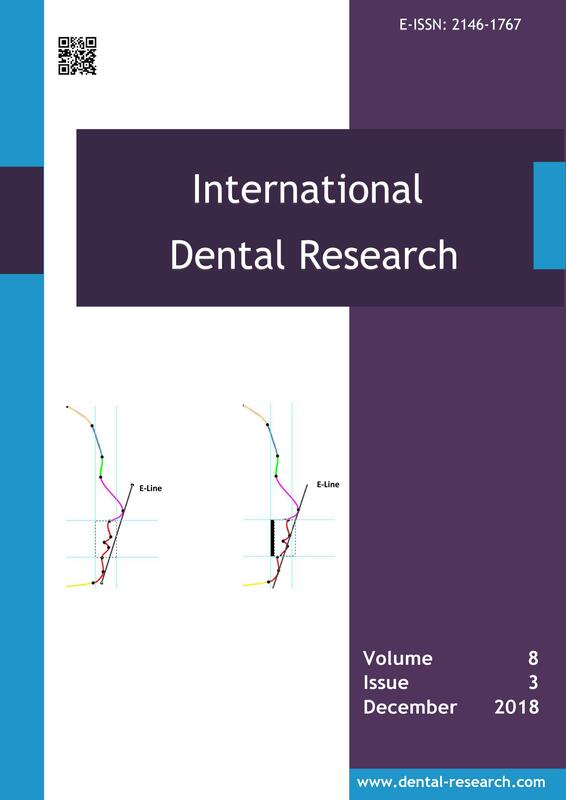 The International Dental Research is the official tri-annually publication (April, August, December). The International Dental Research publishes scientific articles, case reports and comparison studies evaluating materials and methods of dental treatment. Dentists can learn about new concepts in dental treatment and the latest advances in techniques and instrumentation in the one journal that helps them keep pace with rapid changes in this field. The journal also aims to provide clinicians, scientists and students of dentistry with a knowledge transfer platform for rapid publication of reports through an international journal. The broad coverage of current research has given the journal an international reputation as an indispensable source for both basic scientists and clinicians engaged in understanding and preventing dental disease. All articles will be critically reviewed by the editor and invited referees within 2 months.